↑ Federal Demographic Republic of Ethiopia Central Statistical Agency – Population Projection of Ethiopia for All Regions At Wereda Level from 2014 – 2017. 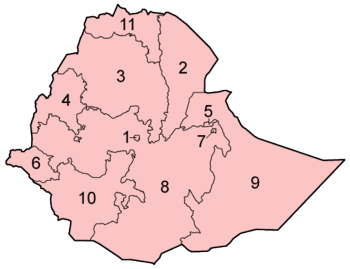 2014 Population and Housing Census of Ethiopia. CSA (2014). კითხირიშ თარიღი: 1 October 2014.
თე ხასჷლაქ ეკონიას გეახალუ 11:33-ს, 28 ღურთუთა 2016-ის.